Quick Aim 16.1 - Construction Applications - Event 1 Software, Inc. Physical product, not available for download. This is a 345 page, spiral bound book with color-coded tabs for each section. 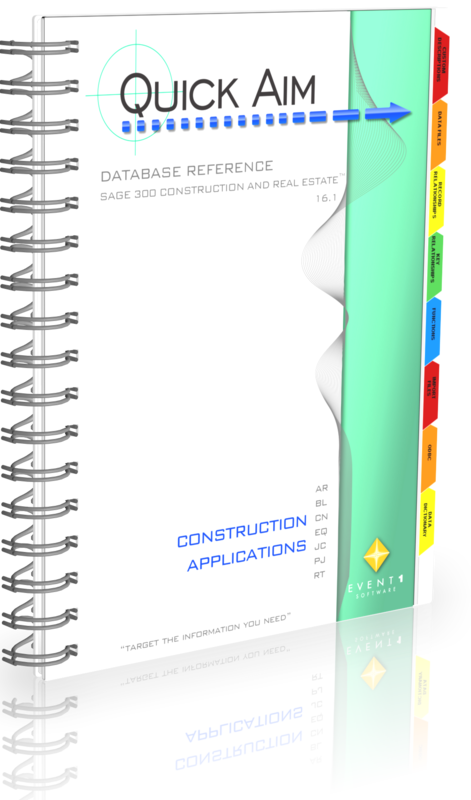 Covers the following construction-related Sage 300 Construction and Real Estate applications: Accounts Receivable, Billings, Contracts, Equipment Cost, Job Cost, Project Management, and Remote Time.